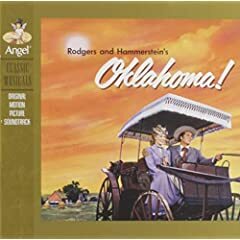 Then Play Long: ORIGINAL MOTION PICTURE SOUNDTRACK: Oklahoma! Interesting review of an album that has been around our house since back in the days of my childhood. I don't think I have ever listened to it through. I have the LP in mint condition, so maybe I'll give it a spin. All that's missing is the record player. Good blog you've got going here. Keep it up.